The imprint will be part of HarperCollins Publishers, which announced Monday that Depp will seek "authentic, outspoken and visionary ideas and voices." Johnny Depp, pictured here at the Toronto International Film Festival, already has ties to the book world. He was a close friend of Hunter Thompson and starred in film adaptations of Thompson's "Rum Diary" and "Fear and Loathing in Las Vegas." How cool is this: Johnny Depp is going to help run a publishing imprint. Already on the list of books is one by Bob Dylan, "The Unraveled Tales of Bob Dylan," which aims to set the record straight on the songwriter's enigmatic life and career and will be based in part on interviews with Dylan by best-selling historian Douglas Brinkley. Depp's imprint will share its name with his production company, Infinitum Nihil, meaning "Nothing is forever." The imprint will be part of HarperCollins Publishers, which announced Monday that Depp will seek "authentic, outspoken and visionary ideas and voices." 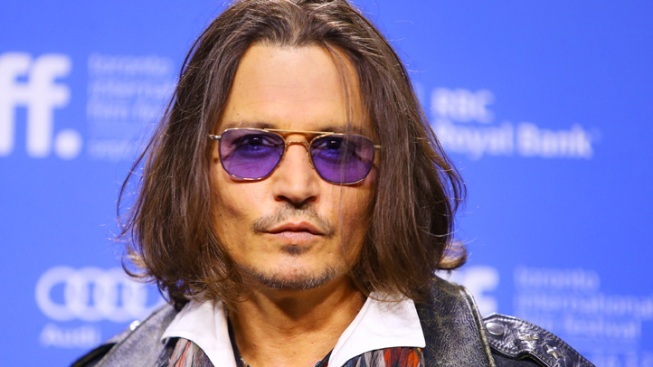 "I pledge, on behalf of Infinitum Nihil, that we will do our best to deliver publications worthy of peoples' time, of peoples' concern, publications that might ordinarily never have breached the parapet," Depp said in a statement released by HarperCollins. "For this dream realized, we would like to salute HarperCollins for their faith in us and look forward to a long and fruitful relationship together." Brinkley, who recently wrote a cover story on Dylan for Rolling Stone, said he and Depp thought the Dylan book was "the ideal way" to inaugurate the Infinitum Nihil series. "Bob has been very warm and forthcoming with us," Brinkley said in a statement. "His music has inspired us both deeply since we were teenagers." The Dylan book is scheduled for 2015. Dylan and Brinkley also will collaborate on the editing and publication of a previously announced novel by one of Dylan's heroes, folk musician Woody Guthrie, who died in 1967. The novel, "House of Earth," was completed by Guthrie in 1947 but was only recently discovered. It's scheduled for January. Depp, whose movies include "Edward Scissorhands" and the "Pirates of the Caribbean" series, already has ties to the book world. He was a close friend of Hunter Thompson and starred in film adaptations of Thompson's "Rum Diary" and "Fear and Loathing in Las Vegas." He also narrated parts of the audio edition of Keith Richards' memoir "Life." Other celebrities with their own imprints include Chelsea Handler and Rachael Ray.